Recently I had the opportunity to spend some time on the client side of an architecture project. It was an eye-opening experience. In my case, it came about because of where I live, in the Forest Hill neighborhood of San Francisco. Just to the west of Twin Peaks, the neighborhood was built in the early 20th century, with about 650 homes in a landscaped hillside area. The nonprofit Forest Hill Association formed in 1918 and commissioned Bernard Maybeck to design a clubhouse, completed in 1919. Residents pay dues to the association to support upkeep of the neighborhood’s landscaping, trees, and of course, the clubhouse. 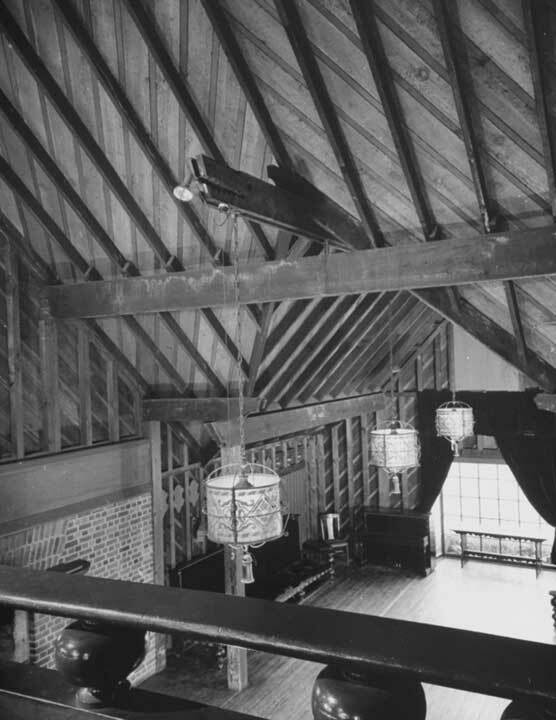 After nearly a century, the Arts and Crafts style building was still a highly popular venue for weddings and other events, with its high beamed ceiling and beautiful woodwork, but it was showing signs of age. The restrooms were not ADA compliant, and it was time for a seismic upgrade. I was a board member of the Forest Hill Association at the time, and so naturally I joined the building and grounds committee and got involved with the project. The board hired Carey & Co. to renovate the facility and held several community meetings to get ideas on the table. It was very different to be on the client side. I learned that it’s not as easy to put a project together as you might think. Coming up with the money and getting the backing from a wide range of people in a community to do a substantial project—it’s a challenge. There were some who felt strongly that the facility didn’t need renovation at all and was fine as is. Which is understandable, given that so many of the proposed changes weren’t very visible. In addition to drawing on the association’s reserves, we had to borrow money for a project of this scale. To the generation who bought their houses in the 1970s for five-figure sums, the amount of money required to renovate the building today just seemed ridiculous. To those who bought in more recent years, it was less of a shock, at least. I think they were more resigned. I also learned that one negative person can have a strong influence on everyone. My job was to try to keep the project moving and deal with the roadblocks. There were a lot of late night emails. And the board president, Diane Wara, was a true partner during the process—she really got in there and dealt with issues. Her secret was, when people were having problems, she would have breakfast with them. I had to become an educator more than an architect. Obviously, as an architect I’m used to that role in community meetings, but here I had to go beyond the architecture to explain the whole process, everything from the materials we used to the finer points of electrical wiring to how much of the seismic work was essential to tackle now. One member really wanted to put solar panels on the roof. I believe in solar—in fact, I have panels on my own house—but I had to elucidate why they weren’t appropriate for a historic resource like this one. The renovated clubhouse opened in the summer of 2013 with an improved electrical system, seismic upgrades, a brand-new kitchen, and ADA accessible restrooms. In the end, the process helped bring the community closer together. It’s great that rentals are up (even though we raised the rates!). But more important, since the clubhouse reopened, more folks have been coming to neighborhood events, like our annual summer picnics and the Halloween party. The older generation still hosts the Christmas party, which is a hoot. You have to come in a tux, everybody’s drinking martinis, and there’s dancing. This neighborhood—it’s a bit of a throwback. 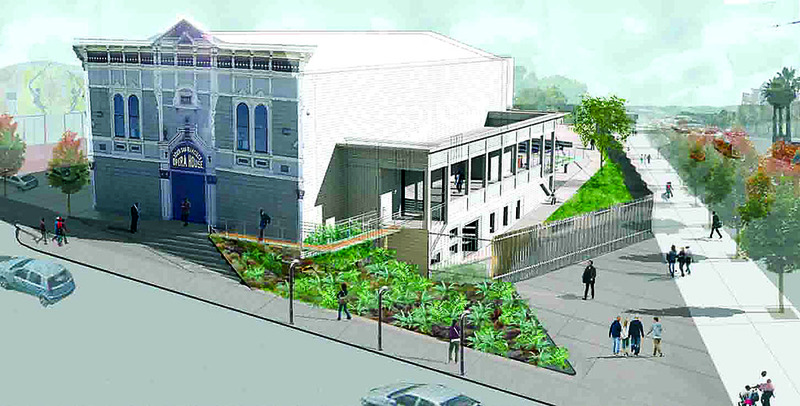 At TEF, we’re currently working on a similar project from the architect side, in a joint venture with Hood Studio: Bayview Opera House in the Bayview Hunter’s Point neighborhood of San Francisco. As with the Forest Hill clubhouse, it involves working with a historic structure (in this case, built in 1888) that’s rented out for events and beloved by its community, but that needs accessibility upgrades and new restrooms. Bayview also will be getting a new set of steps, new lighting, a new porch, and a new elevated walkway to the porch. There will also be a new outdoor theater with a larger stage and more seating than the old one. While the Forest Hill Clubhouse renovations were largely designed to blend in with the existing facility, at Bayview, the intervention has a few modern elements. The public meetings, which Walter Hood ran, have been energetic. The neighbors really feel strongly about this building. The demographics in this area are shifting with the gentrification of San Francisco. There are concerns that this historic resource will change to meet the needs and interests of the newcomers rather than the people who have been living there. I understand and support their passionate connection to the building. However, in this case, the project is all about breaking down architectural barriers to access—for everyone. The new walkway will make the balcony and the outdoor stage much more easy to reach than they ever have been. And the facility will provide the neighborhood with the same mix of arts education, cultural programs, and community events as it has. I think the clubhouse experience helped me be more patient during the community process for Bayview. And the personal touch helps—Walter had a number of very successful meetings with people in small groups, outside the main public meetings, and that helped a lot. The breakfast model, if you will. A lot of the architect’s job is to communicate and then to be patient. My Forest Hill Clubhouse experience highlighted the importance of that for me, and it’s influenced the way I approach my job. Whereas before I might have thought, “Oh, why can’t you just get this done,” I have a greater appreciation for the careful balancing act a client has to manage. On a current project, I found myself going to greater lengths to explain the cost estimate to a client group so that they really understood what the choices were. Also, when I’m putting together a presentation, I have a better sense of what questions might come up at the meeting. I can figure out answers or, even better, change the presentation ahead of time to make these questions unnecessary. It was fantastic to get the chance to be a client—I recommend the experience to all architects.